Hindi Movies: A.R. 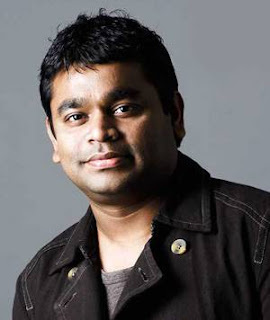 Rahman to launch music video with Dido? New Delhi, Jan 4 (IANS) Double Oscar-award winning Indian music composer A.R. Rahman has revealed that he's coming out with a music video. Speculations are rife that it's the visual representation of his recent international collaboration with English sensation Dido for a number in Danny Boyle's "127 Hours". "Hey Guys, watch out for the world premiere of my new music video… coming soon," he tweeted. The 44-year-old also linked a picture with the comment, that shows him wearing a suede jacket and goggles near a helicopter. He, however, leaves the viewers at the mercy of assumptions that it is the video of the popular song "If I Rise". The Mozart of Madras, as he is fondly called, has apparently also bagged a Golden Globe nomination for his soundtrack for "127 Hours", which is his second stint at Hollywood's second most prestigious annual movie prize after Boyle's Mumbai-based underdog drama "Slumdog Millionaire". The Chennai-based composer is competing in the Original Score for a motion picture category at the gala. Starring "Spider-Man" star James Franco, the movie is a biopic about mountaineer Aron Ralston, who was trapped in a canyon for five days by a boulder that fell on his arm and he freed himself by amputating the limb.